A preview of this weekend's long list of events with the CMLL anniversary card, PWG presents Battle of Los Angeles, the rematch between Kenny Omega and Tomohiro Ishii, Dean Ambrose describes scary bout with MRSA, review of this week's Impact Wrestling, UFC to hold their first card in Russia & more. 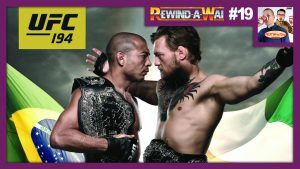 **This week’s edition of Rewind-A-Wai is out for members of the POST Wrestling Café with a review of the UFC 194 event from December 2015. This card featured two championship fights with Jose Aldo defending the featherweight title against Conor McGregor and Chris Weidman defending the middleweight title against Luke Rockhold. We are joined by MMA analyst Robin Black, who covered this card live in Las Vegas along with Wai Ting and discusses his interview with McGregor before the fight and how he mapped out his victory against Aldo. This was such a fun show to do and we hope you enjoy it. The show was chosen by Espresso Executive Producer Joshua Martin. **We also have our latest re-watch video out for “Double Double”, “Iced Capp”, and “Espresso” members of the POST Wrestling Café. This is where Wai Ting and I sit down and watch an old match with a live commentary track over the match. 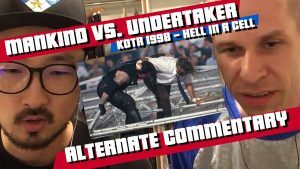 This month we are watching The Undertaker vs. Mankind Hell in a Cell match from the King of the Ring event in June 1998. **Wrestler Dahlia Black is on the latest edition of upNXT/Forever Young with Braden Herrington & Davie Portman to help them review this week’s episode of the Mae Young Classic. **Chris Charlton will be joined by Rich Kraetsch of Voices of Wrestling on Saturday’s edition of the EGGSHELLS Podcast Companion covering the year 2001 at the Tokyo Dome. **Wai Ting and I will be back Saturday with a bonus show for members of the POST Wrestling Café with a review of the New Japan Destruction in Hiroshima card featuring Kenny Omega vs. Tomohiro Ishii. **On Sunday night, we will have a review of the WWE Hell in a Cell show. If you are a “Double Double” or above member of the POST Wrestling Café, you will be able to watch a live stream of our review immediately after Hell in a Cell. If you are attending any of these shows, specifically CMLL, Impact or PWG, we would love to receive a live report and you can send in notes and results to john@POSTwrestling.com. 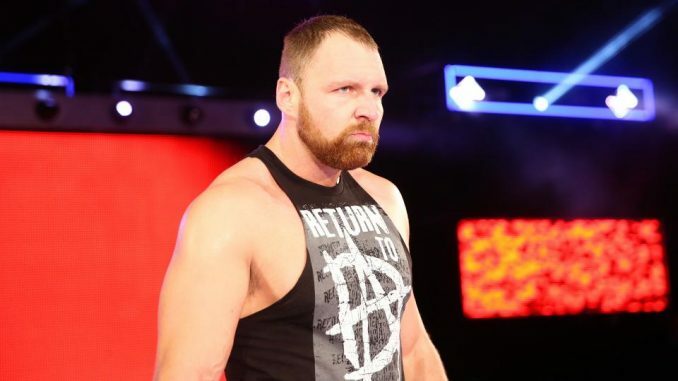 **Dean Ambrose spoke with The Monitor about his recent return and the long road to recovery from a torn triceps tendon last year that sidelined him this year. He described contracting MRSA and stating he nearly died from the infection and was hospitalized for a week on antibiotics. His arm was in very bad shape when he had the first surgery. During a checkup on the arm, they determined there was a big problem and had to perform a second surgery this past March, which sounded demoralizing for Ambrose. To fast track his rehab and avoid further complications, he moved to Alabama and to work with the team in Birmingham and was working out twice a day. He added that he is happy to give up the “Ironman” title stating that’s a title worth zero dollars and someone else can have it. The third night on Sunday will feature the second and third rounds to set up the three-way final and will also feature a PWG tag title match with Dezmond Xavier & Zachary Wentz defending the tag titles against Penta El Zero M & Rey Fenix. The tournament looks incredible on paper with many opportunities for different guys to stand out. I would imagine the big stars of the weekend to be Dragunov, Takagi (who is going freelance and will be open to many more bookings worldwide, so this is a very important showing in his first BOLA in 11 years), Bandido, Flamita and T-Hawk as the ones that jump off the page to me as potential show stealers. I expect the audience to treat CIMA as a legend and will be his first BOLA tournament since 2008. These should be the top shows of the weekend and probably of the year domestically. Marko Stunt and PCO seems like a match that should happen in the second round and if it happens, I can see that getting over huge this weekend as they would compliment each other so well. **The Raw crew starts their weekend shows in Edinburg, Texas with Roman Reigns, Ronda Rousey, Seth Rollins and Braun Strowman being advertised. The Raw crew is in Corpus Christi on Saturday with SmackDown at the Toyota Center in Houston with AJ Styles vs. Samoa Joe, The Miz vs. Daniel Bryan and Shinsuke Nakamura vs. R-Truth being advertised. The Hell in a Cell card is Sunday night in San Antonio, Texas at the AT&T Center. *Kota Ibushi, Yujiro & Chase Owens vs. Will Ospreay, Beretta & Chuckie T.
**Impact used a lot of talent from AAA on Thursday night’s show, including La Parka, Texano, Jack Evans, Faby Apache, Puma King, Freelance, Astrolux, Impulso, Fly Metalik, and Iron Kid. **Pentagon Jr. and Fenix have been advertised by Impact for both nights in Mexico City, although they are scheduled for the CMLL Anniversary tonight. The venues are not that far from each other so it’s possible they could work both. We did reach out to Impact Wrestling for clarification if they would be working tonight’s taping but did not receive a response. Pentagon & Fenix worked a six-man tag and a tag match at Thursday’s Impact tapings. **Backstage interviewer McKenzie Mitchell was back working with Impact on Thursday night at the tapings in Mexico City. **Ric Flair and long-time girlfriend Wendy Barlow had a commitment ceremony this past Wednesday in Florida. Those seen attending the ceremony included The Undertaker, Dolph Ziggler, Michael Hayes, Dennis Rodman, Conrad Thompson, and Flair’s daughters, Ashley (Charlotte) and Megan. **Wednesday night’s episode of Lucha Underground saw the series hit their lowest average of the season with 79,000 viewers watching on the El Rey Network. It was a 21% drop from last week’s figure. **MLW has announced that tickets for their WrestleMania Week card will be going on sale October 10th at 10 am Eastern. MLW’s event is scheduled for Thursday, April 4th in New York City and will feature a taping for their Fusion television program on beIN Sports. **Revolution Pro Wrestling has announced that Tetsuya Naito will take on Chris Brookes and Hirooki Goto vs. Zack Sabre Jr. at their Global Wars event on Sunday, October 14th at the Brixton Recreation Centre. **Shane Strickland posted a video where he proposed to his girlfriend, Karleena Gore. -The show-long build-up focused on Fallah Bahh receiving a title match against Austin Aries that was set up in the opening segment and Bahh being portrayed as the heavy underdog. The match turned out well with Aries doing a fantastic job working around Bahh and emphasizing the strengths of Bahh, which he has several of. There were several big near falls for Bahh before Aries won with the Last Chancery and I thought Aries did great in the role of the champion escaping with the title but giving hope to the challenger. -We are one month out from Bound for Glory and I don’t sense any of the programs striking a nerve with me. The main event between Aries and Johnny Impact was set up with an attack on Johnny last week. This week, he was interviewed by Josh Mathews on Skype and came off as poorly done with the terrible Skype-style production that doesn’t suit the tone of Impact, which has emphasized their unique production and videos as a strength and this was weak. The LAX vs. OGz feud is the one with the most heat heading into BFG with the story that the “crime bosses” have ordered a ceasefire until the pay-per-view (maybe the crime bosses have points on the pay-per-view, although they should have been investing in WWE stock last year rather than Impact pay-per-views). The tapings in Mexico City will hopefully elevate several of the BFG programs as Slammiversary felt like a bigger show with so many feuds peaking for that show. -One of the positives on the show was the team of Channing Decker and Trent Gibson, who are “The Fraternity” and had a short but entertaining television match with Santana & Ortiz of LAX. I really liked the team, Decker worked well and would like to see more of them. -I know they maximize the shows they tape in each city but after so many shows from Toronto, they exhausted this market quickly and I was happy this was the final episode from Toronto as the audience seemed tired throughout the show. John Pollock & Wai Ting review the UFC 194 card from December 2015 headlined by Jose Aldo vs. Conor McGregor and Chris Weidman vs. Luke Rockhold. We welcome MMA analyst Robin Black, who covered the show live and interviewed McGregor ahead of the fight. This event was selected by Espresso Executive Producer Joshua Martin. Braden Herrington & Davie Portman return to chat about a dull edition of NXT, but then things pick up with a review of the second week of the Mae Young Classic and are joined by wrestler Dahlia Black with her thoughts on the MYC episode.